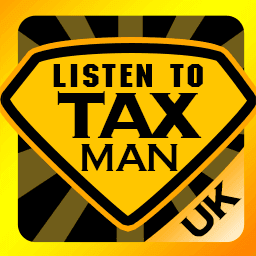 August 2nd Second 5% charge on any unpaid tax owed on 2014/15 Self Assessment Return, plus a further Â£300 fine or 5% of the tax owing (which ever is greater), for those who still have not submitted their return. August 2nd Deadline to notify HMRC of changes to employees car/fuel benefit (P46) from previous quarter. August 18th (22nd if paid electronically) PAYE, Nat. Ins.,Student Loan & C.I.S. Monthly deductions due. September 19th (21st if paid electronically) PAYE, Nat. Ins.,Student Loan & C.I.S. Monthly deductions due. September 30th End of CT61 quarterly period. September 30th Last day for UK businesses to reclaim EC VAT chargeable in 2016. September 30th Last date to back claim Small Business Rate Relief to 2010 rates. On 1 April 2017, the 2017 rating list came into effect. This means that you can apply for small business rate relief up to and including 30 September 2017 and still have this backdated to 1 April 2010. For applications received on the 1 October 2017 and later, small business rate relief can only be backdated to 1 April 2017. This article was published in our Tax Calendar section on 01/08/2017.